← Stop wasting my time with the hands up craze! Midterm elections are typically viewed as a mandate for or against the party that is currently in power. As a result of this year’s fallout the Democratic Party, by losing control of the Senate, has all but given away any semblance of real power on Capitol Hill other than the presidential veto. Looking beyond the immediate results, from a strategic standpoint, what the Republicans have done is nothing short of brilliant. They have succeeded in convincing a highly polarized and highly ignorant electorate that President Obama is the true enemy of the state. This comes in spite of the fact that under his administration the stock market has traded at record high levels, the deficit has been reduced by $1 trillion, job growth has steadily improved while unemployment (as tricky of a statistic as it is) has decreased. Of course the cornerstone of his administration has been the Affordable Healthcare Act (which is, for all intensive purposes, a recycled Republican idea). In response to this ideological onslaught the Democrats did…nothing. In fact they tucked tail and ran away, going so far as to distance themselves from the very president who, a little over 10 years ago, carried their blood stained populist banner in an impassioned speech at the Democratic National Conventional. In the end the Democratic Party and its leaders have suffered a major blow that, for the most part, they allowed to happen. But this has not all been the fault of the Democratic Party. A lot of the blame of President Obama’s fall from grace has been President Obama himself. Contrary to the popular belief, when black folks elected Barrack Obama to be the 44th President of the United States it wasn’t just because we wanted a president who was black. The black electorate is more sophisticated than that, just ask Alan Keyes and Herman Cain (both of whom are black and both who have unsuccessfully run for president). The reason that we elected Barrack Obama is because in him we saw someone who seemed to understand our heartbeat. He wasn’t born with a silver spoon in his mouth. He was raised by a single mother and then grandparents who loved him. He graduated from law school and met a true sister from the Southside of Chicago who had also spent her life defying the odds laid out before her. After graduating he came back to the hood as a community activist. He could play hoops, wasn’t too proud to admit that he listened to rap music and could drop the mic and walk away after giving a speech. We were proud to prop him up as the best of what our community had to offer to the country and to the world. On many issues he ran on a solidly progressive and left of center platform. He was very honest about the fact that he thought government should play a more expanded role in the lives of its citizens. He promised to give the common man a much needed voice in the often white shoe closed door power meetings held in the nation’s capital. In the end he campaigned that electing him would mean that it wouldn’t be business as usual in Washington D.C. When he began his first term we knew the job was a tough one. For the most part the black community gave him a collective pass. We said “you didn’t create this mess. We’ll give you time. Handle your business brother, we got your back.” We began to see appointments of highly qualified and skilled black leaders in his administration. He showed up on the talk shows, he and the first lady brought a joie de vie to the White House after some really tough economic and political years. It was refreshing to see his oratorical skills readily on display on almost a weekly basis. We watched him fight an outwardly hostile congress and senate. We had his back, almost to a fault. When it came time for re-election he could rely on us to stand firmly behind him, even though he had made statements about how he wasn’t just “our president” but he was “America’s president.” Well, we knew that. We deal with the fact that everyone in America doesn’t look like us or have our perspective or deals with the same stuff that we do on a daily basis. We’re not stupid. But, hey, we’ll let that one slide. We still got your back. When the runaway housing industry came to a screeching halt due to the corrupt and illegal practices of the mortgage industry it was found that Wall Street and the banking industry willfully misled the American people. Millions lost their homes while these same bankers and brokers who stole billions of dollars received what was equivalent to immunity from prosecution by President Obama’s administration. His response was “it’s too big to fail.” Taxpayer bailouts ensued and the banking industry, after fleecing billions, was allowed to continue doing business, only this time much richer. What happened to the “this won’t be business as usual,” Mr. President? Last year a larger percentage of young black women chose to have an abortion more than any other ethnic group in the country. And while we understand that protecting a woman’s right to a legal and safe abortion does not mean the same thing as being pro-abortion, President Obama, indeed having learned profound oratory skills from the very community that helped to ignite the flame that propelled him to the White House in the first place seemingly can’t conjure up those same skills when defining those very nuances which might save one more black baby’s life from being extinguished. The black community has always had a very strained relationship with the issue of homosexuality. This president has seemingly made it one of his top priorities to use his office as a sounding board of support for those members of the community who make the very difficult decision to go public with their sexuality. The same fortitude does not seem to be on display when it comes down to taking the lead on social injustices committed against black males. And while sending the attorney general to Ferguson, MO was a step in the right direction, not showing up himself was disheartening. We won’t even talk about how relatively silent he’s been on the violence in his own city of Chicago. In his effort to prove to an ever-fearful white America that he is not simply “the black president” in some ways it seems that he has forgotten that he is the President who is black. Going into the latter part of his second term we should hope for a more forceful voice of advocacy for a community of Americans most in need. Our issues are America’s issues. When do we get a little more love? 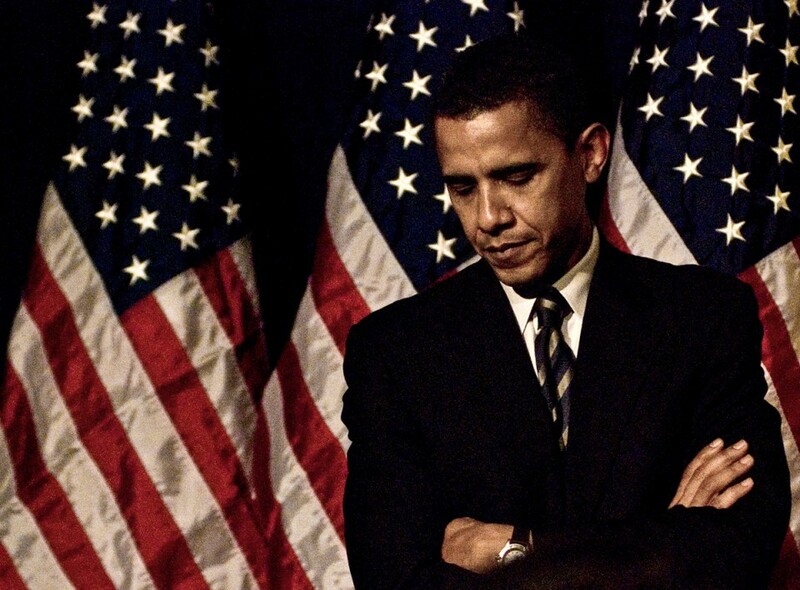 In the end, for many, the question remains: do we have a Black President or a President who is black? In short we can, and should be, unapologetic in our critique yet diligently guard against being used as the political gun powder of the opposition. This entry was posted in Uncategorized and tagged 44th president, affordable healthcare act, Barrack Obama, black president, black vote, democrats, homosexuality, ideoogy, politics, President Obama, president of the united states, republicans, taxpayer bailouts, unemployment, voting. Bookmark the permalink.